is the Egyptian premier event specialized in the field of travel & tourism industry to meet industry professionals and conduct business deals. The annual business-to-business exhibition showcases a lot of products and destinations from the Egyptian market to all over the global travel trade. * exhibition and conference unlocking business potential between Egypt and the global travel trade. * the Egyptian meeting place for the travel trade. * creates business opportunities, providing customers with quality contacts, content & communities. 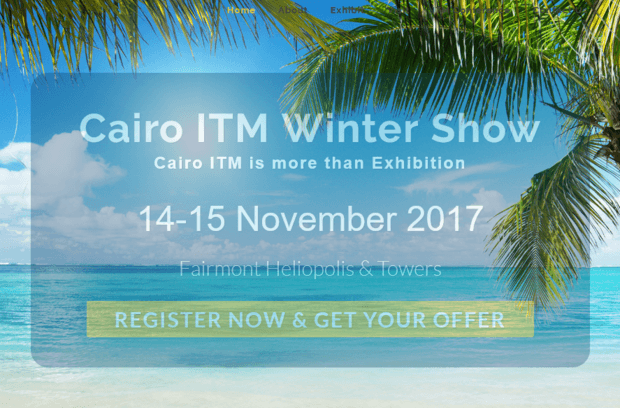 * it enables participants to increase awareness of their destination, present their new program's and gain a real feel for the Egyptian travel and tourism market. * shows how to help the Tourism destinations from around the world showcase a diverse range of travel trade services. Egypt is one of the leading tourist countries in the world as it acquires the number of tourist arrivals in the world, apart abundant tourist attractions of all kinds. The main objective behind the conference is to stimulate tourism, In addition to offering opinions and discussed in the presence of the personalities responsible for tourism and providing all that is new in the travel market and the Egyptian tourism. Improve your business practice and develop your knowledge in our conference program. Hear thought-provoking debates, research, market data & trends , and case studies presented by leading industry figures.